The hairs on the back of your neck are standing on end. You have just witnessed a mesmerising, world-class performance from virtuoso artists. It is like being at the Royal Albert Hall, yet you are in the comfort of your own home. Quite extraordinary. Chez offers access to some of the world’s most accomplished musicians and artists. Whether it is a wedding, birthday, anniversary or any other special occasion, we can transform your event with the flawless beauty of live performance. 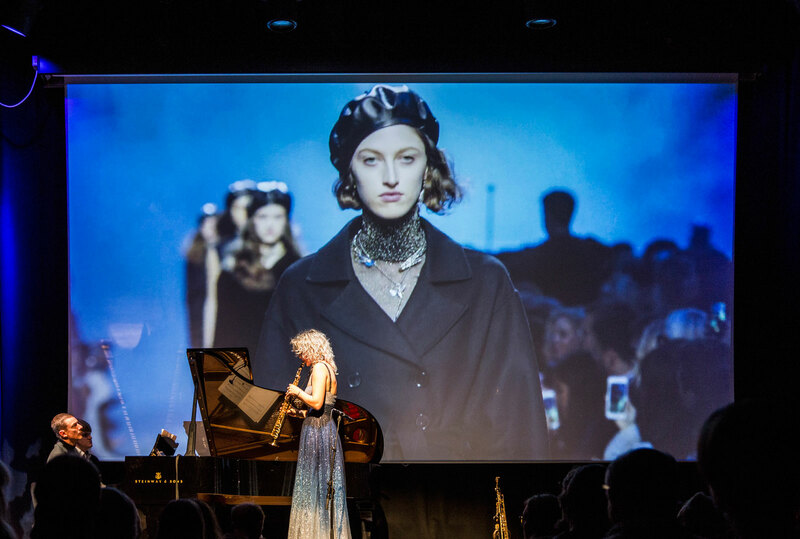 Our tailor-made service provides musical curation of the entire event, as well as interaction with the artists. It can even include a bespoke composition to mark the occasion. We invite you to contact us for a personal consultation. Hailed by The Times as ‘a superb young saxophonist’, Hannah Marcinowicz made her Wigmore Hall debut in 2008. 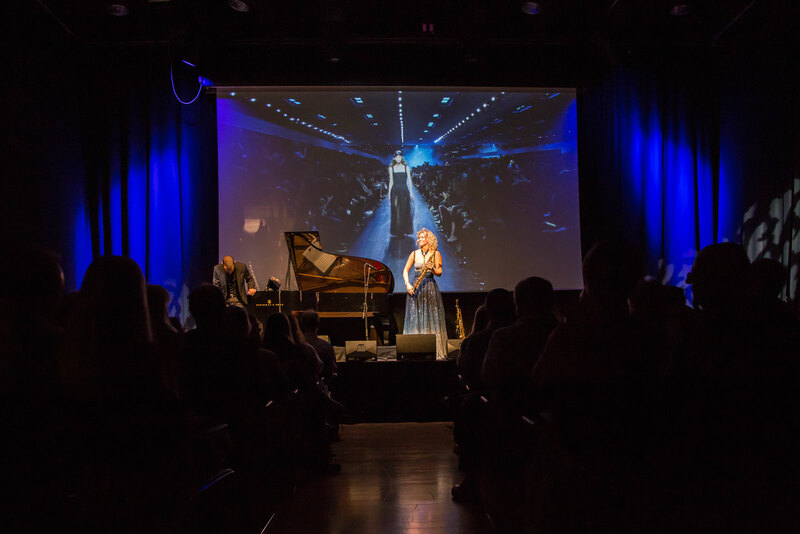 Since then, she has performed as a soloist at venues including the Royal Albert Hall, Royal Festival Hall, Queen Elizabeth Hall and Barbican Centre to great critical acclaim, and with the London Symphony Orchestra, Philharmonia Orchestra, BBC Concert Orchestra, Royal Philharmonic Orchestra and London Philharmonic Orchestra. A regular performer at the BBC Proms, she has appeared as a featured soloist under Sir Colin Davis and Paul Daniel. Her international performances include concertos and recitals in the Middle East and Far East, and as a guest soloist with the European Union Chamber Orchestra. 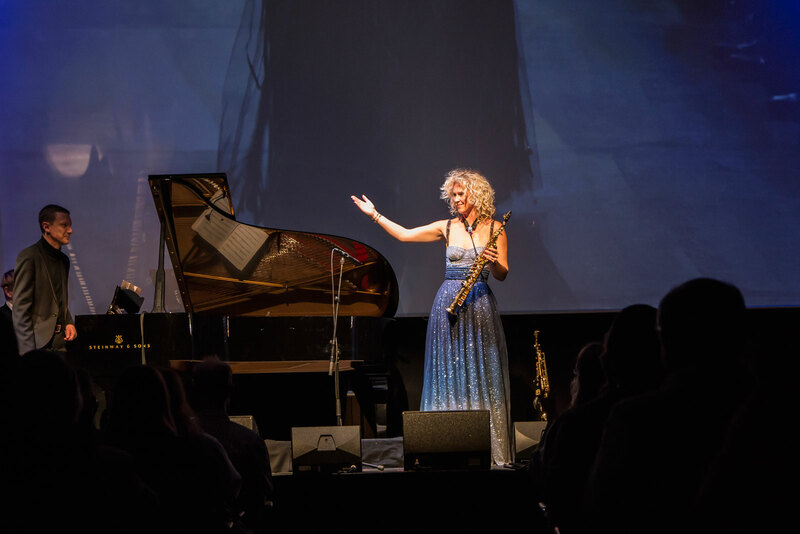 Hannah has also developed a strong association with the cream of British female soundtrack talent with her ‘Screen & Sax’ project, which was launched at Kings Place, London, as part of the ‘Women of the World’ series. For this project, she developed a brand partnership with the fashion brand Dior, who loaned her a dress for a new commission inspired by the current collection. 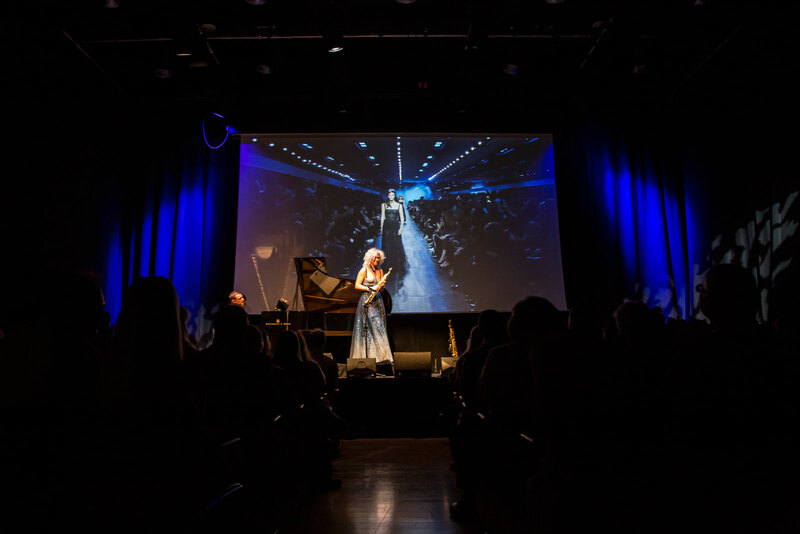 A former Purcell School pupil, Hannah graduated with first-class honours from the Royal Academy of Music, where she studied both saxophone and clarinet. Numerous awards, including a major scholarship from the Leverhulme Trust, enabled her to continue her conservatoire studies in Paris, with international soloist, Jean-Yves Fourmeau. She was awarded the prestigious Médaille d’Or twice. Always up for an adventure, Hannah has climbed Kilimanjaro and performed at the summit, despite the lack of oxygen!